It was a Childhood dream of narrating a interesting story around myself. Storytelling was my primary focus. Working in indian film industry from last two decades as a Sound designer, Music composer and having my own audio post production facility , its a natural progression to turn as a film maker. Working for a lot of esteemed directors especially Legendary film maker Ramgopal varma from india for more than 9 films , and his cult and unlearning approach of each of his film,which inspired me. The city of Hyderabad in the southern region of India is a witness to history and heritage which is more than 400 years old. The city is adorned with forts, castles and forgotten tales. This ancient city fascinates and triggers the interesting aspect of treasures and haunting spirits. Being raised in Hyderabad, this spectrum of ruined forts, castles and the secrets they carry attracted me constantly. As a filmmaker, I chose the backdrop and the mystery behind these castles which led to the evolution of ‘127B’. This feature film is the first horror comedy in terms of genre in Urdu Language (Dakkani Films). 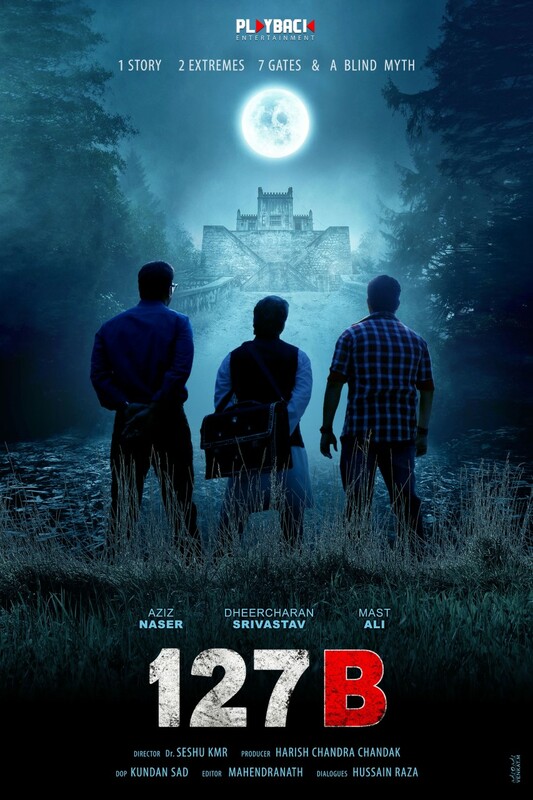 My fascination and interest towards history, folklore legends combined in a feature film proved to be a very engaging and entertaining experience for me and I hope the same with the audience too. This approach of a curious thrilling touch of a treasure hunt is my evolving style as Filmmaker. Shot in an original castle more than 150 years old in ancient Hyderabad(India) . So the horror effect and treasure hunt was a very realistic Myth and strange coincidence Locations and Art designed to showcase the Hyderabadi backdrop and its age old secrets . I feel the approach of film making is to give a emotional experience to viewers. so any movement which supports and unlearns and breaks the conventional making is a constant learning and kicking experience. My next project is a A horror Drama .Pre production is on and will go on floors by year end.